NEW. 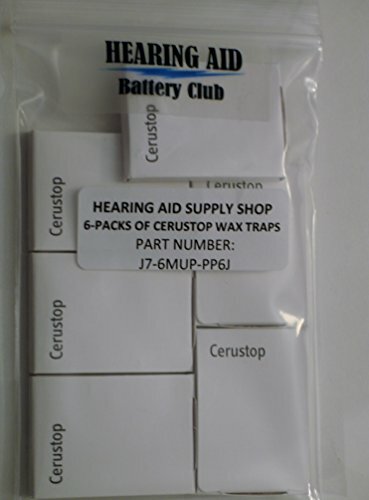 6-packs of 8 filters per pack of the Phonak Cerustop Wax guard for Phonak receiver-in-canal and custom hearing aids using the Cerustop or Wax Trap systems. Please note that this is the new Cerustop system. They are fully interchangeable with the older WaxTrap filters. The removal stick is now threaded which makes removal easier. To remove the old wax guard, insert the threaded end in the opening of the wax guard, twist and pull out the old guard. To insert the new filter, flip the tool and insert the new wax guard. Trust the Hearing Aid Battery Club and Hearing Aid Supply Shop to bring you quality product, delivered on-time over 99.5% of the time.